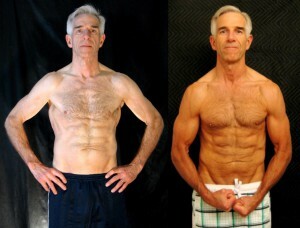 In the last remaining days of AT20 it’s imperative that you maintain your pursuit towards that “Golden” transformation. Many will be making their final preparations this weekend or have already done so. Contest Photo Submissions for AT20 will be due no later than Monday April 24th at midnight Eastern Standard Time. For many contestants, this is the first workout program that you’ve followed consistently. Thank you for your commitment to the Adonis Golden Ratio Program and more importantly for your commitment to your own personal goals. 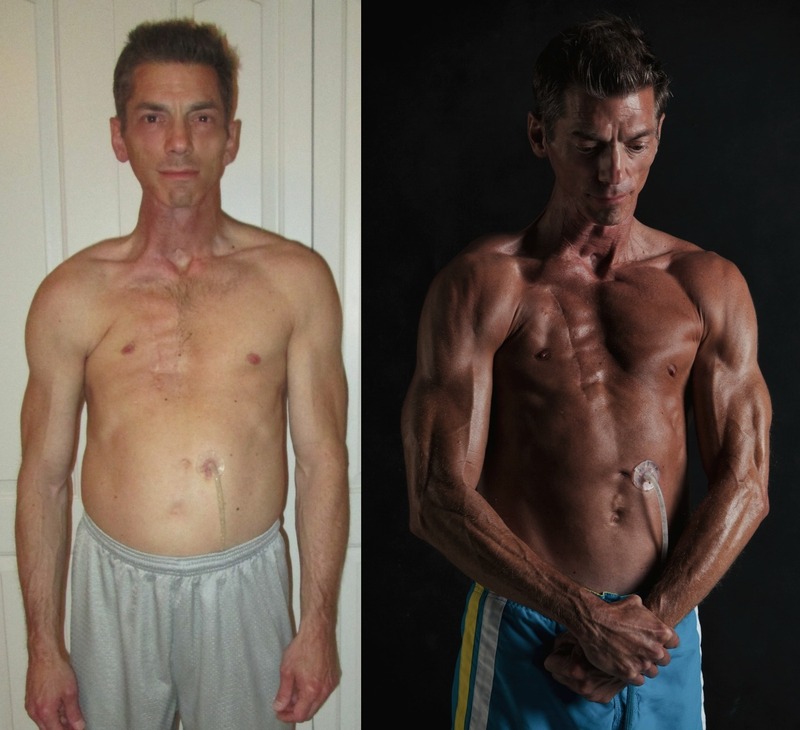 Here is a brief recap of some of our transformation winners from previous contests. 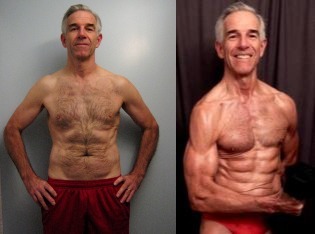 In the last remaining days of AT19 it’s imperative that you maintain your pursuit towards that “Golden” transformation. Many will be making their final preparations this weekend or have already done so. Contest Photo Submissions for AT19 will be due no later than Monday April 11th at midnight Eastern Standard Time. For many contestants, this is the first workout program that you’ve followed consistently. Thank you for your commitment to the Adonis Golden Ratio Program and more importantly for your commitment to your own personal goals. 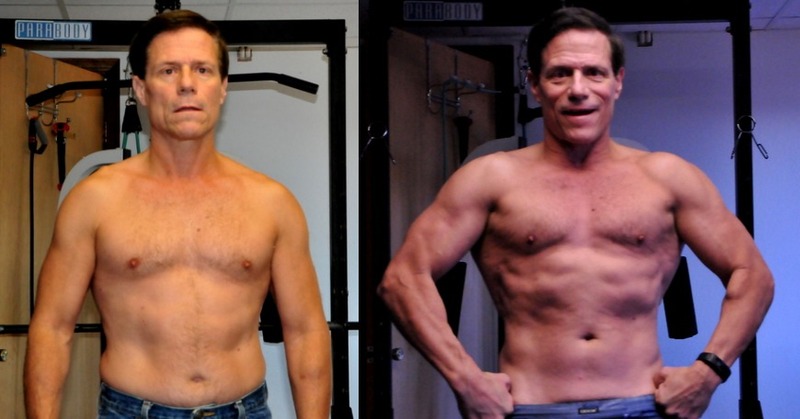 Here is a brief recap of some of our transformation winners from last year. 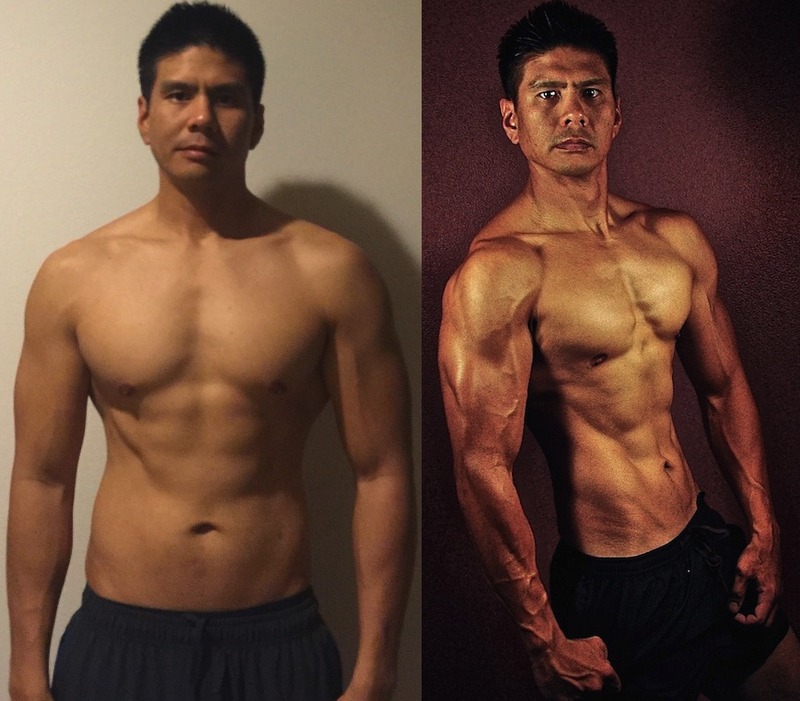 As we prepare for another exciting Adonis Transformation Contest year in 2016, I wanted to take a moment to explain how Adonis Coaching differs from Adonis Immersion. Meet your AGR Coaching Staff! Adonis Immersion is comparable to a “do it yourself” home project. You know it will take you a bit longer than a contractor but it will save money and you will learn the basics along the way. 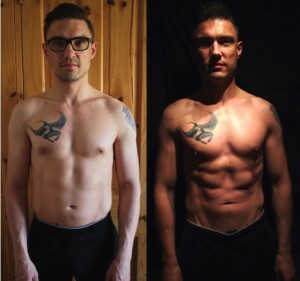 The other benefit is that you have access to Adonis training programming much longer than a 12 week period along with access to all the uncensored podcasts. Immersion is our flagship product for increasing your results. Adonis coaching is comparable to hiring a contractor for your home project. You want an expert so it gets done right the first time or maybe you have a special case. Other reasons may be that you have no background knowledge in fitness or your time is valuable so you want to cut to the chase. A coach will get your background and prescribe a nutrition and training regimen based on your needs. How Do You Cross A Minefield? Walk Carefully Behind Your Coach! All the coaches do things a little differently based on their personalities. You can request any one of the coaches and if we have space we will accommodate your request. We all touch base with clients weekly and take client biweekly progress reports. Based on that, a coach will modify programming for the client. Clients can email their coach at any time with questions or concerns. 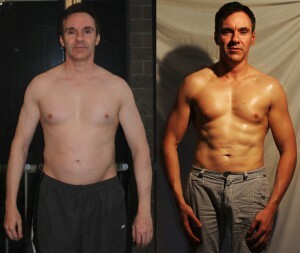 You do not have to have a coach to enter our transformation contest. Nor do you have the obligation to enter a transformation contest when working with a coach. That is completely up to your discretion as our coaches are available year-round. However, most clients have had the greatest success when entering a contest period as it led to increased motivation and extended accountability. Either way you go, you are investing in your health and priorities which is a win. Stay tuned for the official announcement of AT-19 to begin next monday. 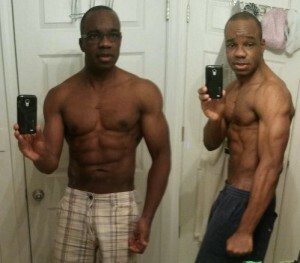 In the last remaining days of AT18 it’s imperative that you maintain your pursuit towards that “Golden” transformation. Many will be making their final preparations this weekend or have already done so. Contest Photo Submissions for AT18 will be due no later than Monday November 23rd at midnight Eastern Standard Time. For many contestants, this is the first workout program that you’ve followed consistently. Thank you for your commitment to the Adonis Golden Ratio Program and more importantly for your commitment to your own personal goals. Here is a brief recap of some of our transformation winners from earlier this year. 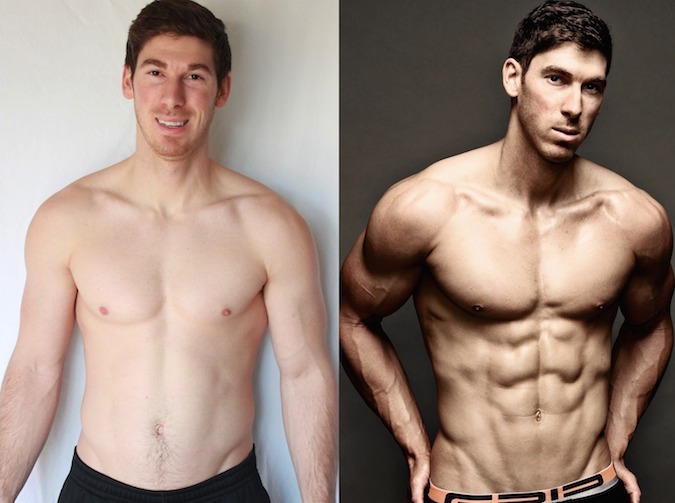 Every year we have transformation contests in which the Top 10 transformation contestants are recognized for their achievement in staying committed to their fitness goals. You see, the person that holds the rope when the going gets tough is a winner. When you’ve had a long day at work and choose to go to the gym afterwards that is a “winning” decision. If you are frustrated and have lost the willpower to track your calories come and visit with some of the members in the AGR community. Win or lose, remember that your transformation is a personal achievement and you should be very proud of your accomplishment. In a previous post, I discussed the Four Key Ingredient necessary in order to become “Photo-Shoot Ready” on command. Keeping these concepts in mind will help you capture some amazing images of your new & improved physique. In conclusion, to all my brothers in Iron, I hope you’re enjoying living the Adonis Lifestyle and to those contestants in AT18, come November 23rd, I look forward to congratulating you on your transformation! In the last remaining days of AT17 it’s imperative that you maintain your pursuit towards that “Golden” transformation. Many will be making their final preparations this weekend or have already done so. Contest Photo Submissions for AT17 will be due no later than Monday August 3rd at midnight Eastern Standard Time. AT17 is trending to be our largest competition to date based on the number of contest entries. In conclusion, to all my brothers in Iron, I hope you’re enjoying living the Adonis Lifestyle and to those contestants in AT17, come August 3rd, I look forward to congratulating you on your transformation! 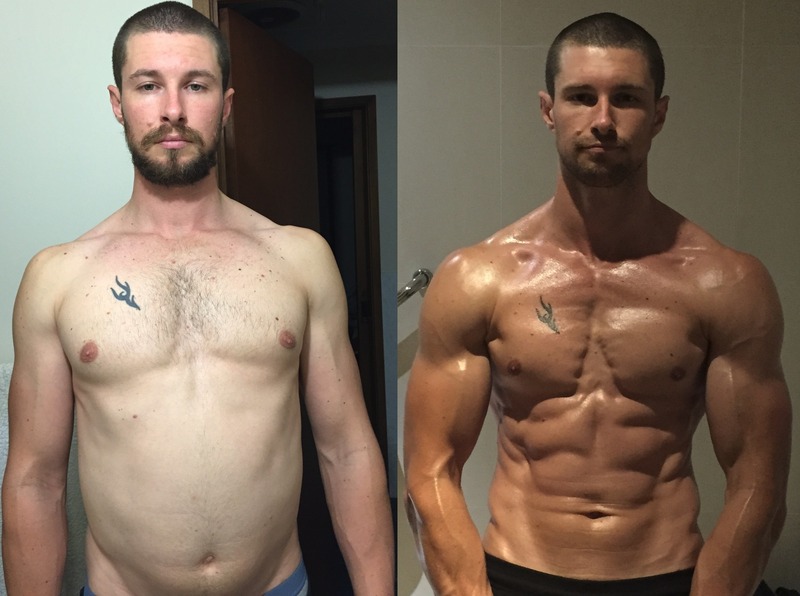 Here’s your essay interview with 9th place winner Brad V. from the 14th Adonis Golden Ratio Transformation Contest. 1. 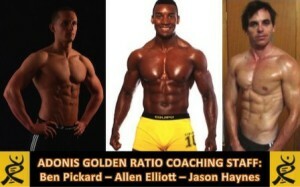 What workout or nutrition routine did you do before Adonis Golden Ratio (AGR) System? What kind of results did you get? For most of my adult life, the sources for most of my workouts were what I obtained from various fitness magazines and/or purchase of a few exercise books over the years. 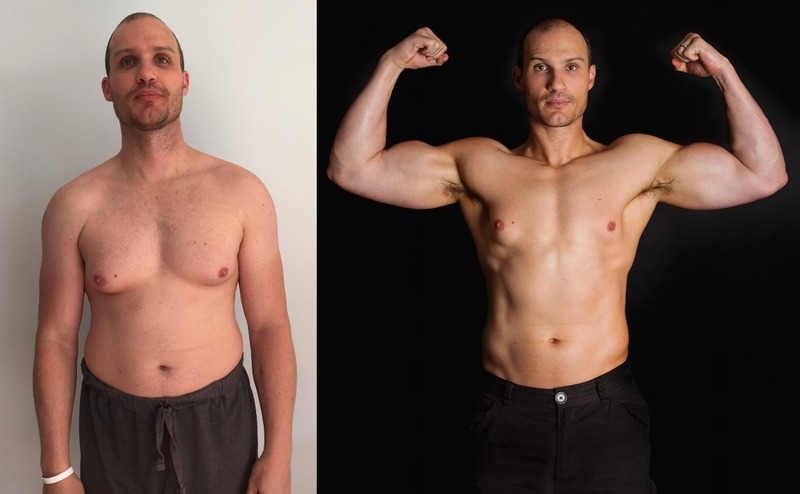 I had OK success with adding strength but no success in obtaining a well-developed physique since I generally got tired of the routine and lost interest over time. I had pretty good luck with Tom Venuto’s Burn the Fat Feed the Muscle around 2003-2004, but the real progress only happened when I was tracking my calorie intake. However, since this was before on-line sites were available I had to use look-up calorie tables and spreadsheets, which eventually got kind of old. I don’t recall the workout routine I was using at the time. I was able to effectively lose weight and some fat but not to the point where I had visible abs. 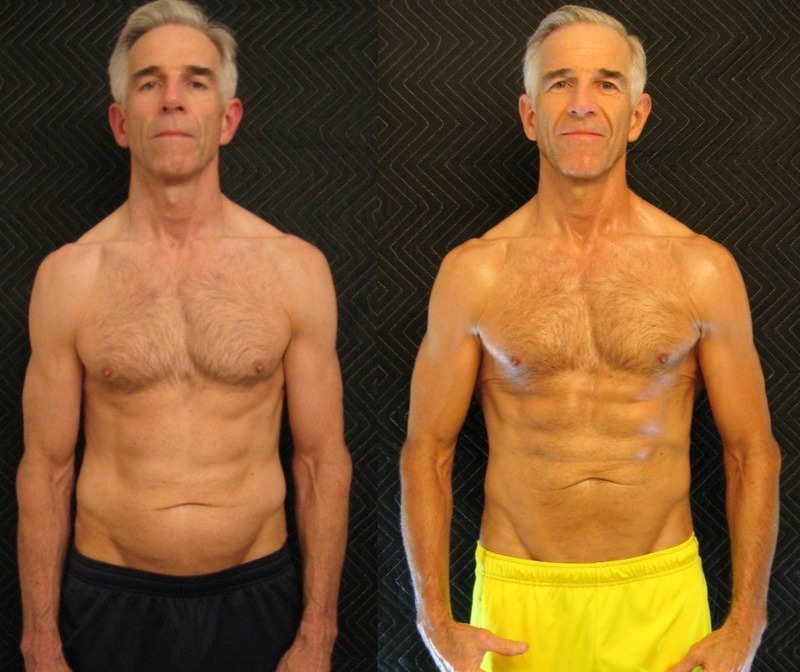 I eventually got tired of the routine nature of the workout programs and lost interest so I never had success in obtaining a well-developed physique. 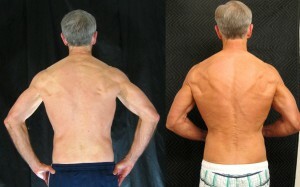 The muscle I did develop was still covered by a layer of fat. During the summer of 2009 after looking at vacation photos from July 2009 (see attached example), I decided to make a change and vowed to get in shape. At that point in my life I was 55 years old, approximately 6 ft. tall and I weighed 226 pounds. I consider this photo from July 2009 my before photo for my pre-AGR/ESE transformation. So in August of 2009 I began the process of calorie restricted dieting and exercising. At that time I had purchased Craig Ballentyne’s Turbulence Training programs and I began using these to complete my workouts at home; these were primarily a combination of body weight and dumbbell exercises. My equipment consisted of a couple of sets of adjustable dumbbells, an incline bench, some resistance bands, and an exercise ball. Through the fall of 2009, using TT workouts and regular dieting, I lost approximately 10 pounds. 2. How did you find out about AGR? I was introduced to Eat Stop Eat through the Turbulence Training website/interview that Craig had with Brad Pilon. I bought ESE (second edition) in October 2009, but I didn’t complete my first fast until November 9th,2009. The first fast went well and I was hooked by how simple it was to “diet”. 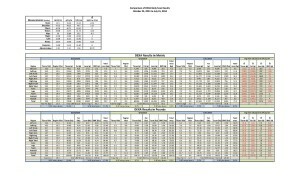 By April of 2010 I had lost a total of approximately 50 pounds using ESE along with continued use of various TT programs. I “enrolled” in ESE-University in January 2010, which I think may have been the first ESE-University, and I was “introduced” to John Barban and the AGR programs through that. I purchased my first AGR program and signed up as a member of the forums (as an observer/reader, not a participant) in May 2010. However, that summer things got pretty busy (my father passed away) and my exercise habits really slipped, although I continued to fast at least a couple of times a week. By the end of July I stopped exercising regularly and totally lost any type of an exercise routine. As I mentioned in my AT-14 essay and discussed in answer #5 below, it really wasn’t until August of 2013 that I decided to fully commit to a transformation change. 3. What was most appealing to you about AGR? I’m a scientist (master’s degree in environmental health/toxicology), so I like, and really appreciate, the research based presentations / information that John and Brad present in the uncensored podcasts. I’m a detail oriented person so the more scientific/research based information in the podcasts the better. I like the variety and choices in the workout programs that are available in AGR. I also appreciate the amount of information I’ve obtained from the uncensored podcasts and the forum. I’m hooked on ESE (almost all of my fasts are dinner to dinner so it never interfered with family meals), and I love how I feel during and after a fast. I rarely get colds or sick; I love not having to worry about dieting or thinking about eating breakfast/making a lunch to take to work. In addition to the relatively painless process of eating less via fasting, I am fascinated by the beneficial health effects gained as a result of fasting, especially autophagy, and increased growth hormone & insulin sensitivity. I have personally enjoyed seeing (by charting/graphing) the tremendous improvement in my blood lipid results since I started ESE. 4. Were there any concepts or approaches you were skeptical about? For my entire life I have had to “watch what I eat” . . . starting from the time I was a chubby kid. So this spring when my waist measurements finally reached / dropped below golden and the nutrition calculator bumped up my calories above maintenance, I had a really hard time believing that I could start eating more and not gain weight/fat. As a newly minted lean person this has been the hardest concept to accept. Trusting and following the nutrition calculator guidelines really took some getting used to. 5. When did you decide to jump on board full fledge with AGR? As I mentioned previously, I have been hooked on fasting instead of traditional dieting since I first tried it. However, as I mentioned in my essay, it wasn’t until I listened Brad’s 7-week experiment podcast last July/August that I decided I was going to work to reach golden in in 6 months by the time I turned 60. I generally listen to one or more of the uncensored podcasts while I’m working out, and it seems like I get something I can relate to out of every single podcast. They are a great resource. 6. When did you first decide to enter an Adonis Transformation (AT) contest? I entered a couple of earlier contests but didn’t finish for one or more reasons. During AT-13, when I started tracking my calories and macronutrients using MyFitnessPal, I found that I made really good progress. And while I did technically finish AT-13, I wasn’t satisfied with how I looked in my photos so I didn’t submit them. 7. What was your experience going through the AT contest? Challenges that came up? Things you didn’t expect? I learned that the most important thing was I have to be consistent both with monitoring my calories and workouts. Since February 6th I have not missed a day of tracking my calories on MyFitnessPal and I have been kind of fanatical about working out at least 5 days a week throughout this period. I have gotten to the point where I feel like I’m missing something if I take more than two days off in a row from a good workout. Keeping track of calories and macronutrients on a daily basis throughout this process is a huge part of the progress I made. By doing this each day, I have a good handle on my maintenance calories at this level of exercise. Plus MyFitnessPal provides some pretty cool report options, for example I’ve printed example reports for April to July on one of the attachments documenting some of the records I kept. 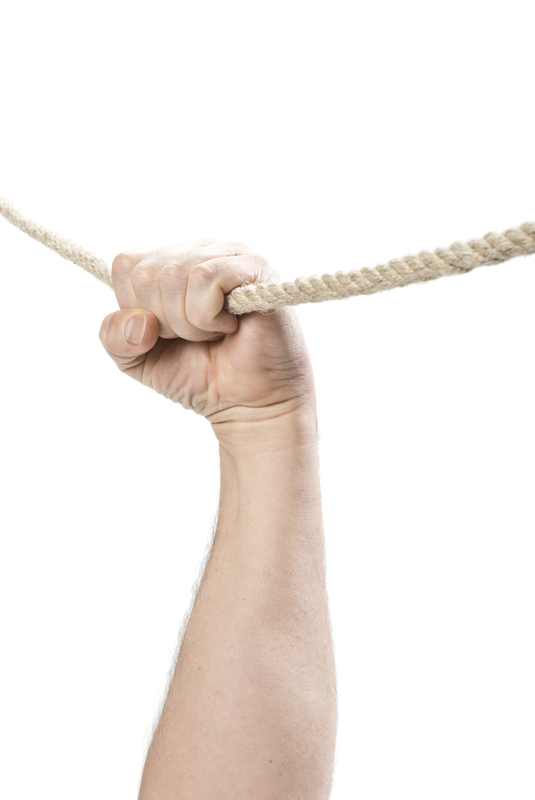 Challenges – working through family and life changes associated with separation/divorce. Regarding things I didn’t expect, I have to say probably the biggest thing was how cool it was to see the progress / results of my DEXA scans as a results of following the AGR nutritional and workout programs; see the actual evidence of losing fat and gaining lean mass because of the hard work and effort. 8. How did people react to your transformation? Positives and negatives (if any). I have gotten mostly positive responses, although during earlier stages of my transformation I got a number of comments about being too thin and my family was often asked whether I was sick or had cancer. 9. How do you react to the “Brand New” you? Have you noticed changes in your outlook and attitude in general? I look and feel much younger than my actual age; I have more energy and even when people around me have or get a cold or some other illness, I rarely get sick so I know the new me is lots healthier. I’m enjoying my new look but I am still adjusting to being so lean and having a six-pack for the first time in my life. Seeing the muscle definition in my arms/shoulders is a real kick. Thanks again for all the great resources and program information. Job well done! Thank you for your willingness to change your habits by monitoring you calories and developing a routine of incorporating daily fasts into your lifestyle. Nevertheless, I hope that the DEXA information you shared during your transformation journey will help further people’s visual conception of how the proof really is in the details! Keep up the great work and I look forward to seeing your posts in the community. Filed Under: diet, exercise, health, Muscle Building, Transformation Tagged With: adonis golden ratio, Adonis Transformation Contests, at-14, body image, Brad V.